After being shut out by the hottest team in the NHL, the Florida Panthers, and closing out a three game road trip with just one win, the Rangers don’t just face one of the best teams in the league. They will take on the team that leads the NHL in goals scored by a wide margin. 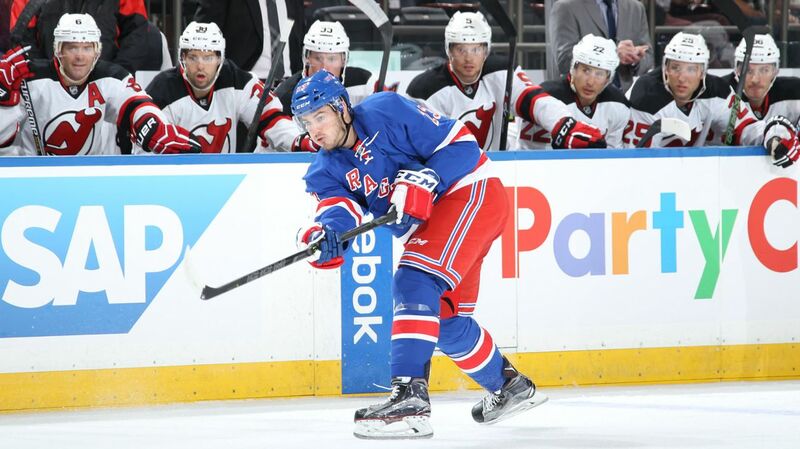 The Rangers have a tendency to play up to their opponents at times, so they better bring their “A” game tonight. These two teams will face off for the first of two meetings, with the season series concluding on February 27th in Dallas. The Stars swept the season series last year for the first time since 2008-09, winning both games by a final score of 3-2, with one of those wins coming in overtime. After their shutout loss in Florida, it looks like the Rangers will go with a different lineup tonight, but not because of the coach’s choice. After yesterday’s practice, it was revealed that Chris Kreider was day-to-day with a cut on his hand, and is doubtful for tonight’s game. Jeff Gorton recalled Jayson Megna from the Hartford Wolf Pack, the second time he has been brought up to the NHL. Megna has not played a game, but could very likely get in tonight, and probably for Emerson Etem, who had a very poor game against the Panthers. Jayson Megna. Photo courtesy of MSG Photos. Megna has skated in 34 games with the Wolf Pack this season, scoring seven goals and adding 11 assists for a total of 18 points, along with 12 penalty minutes. He leads Hartford in shots on goal (110), and has tallied a goal in 15 different games this season, including 10 of the last 15. Normally this is where I would highlight a few key players from the Rangers opponent. But the Stars are so deep and dangerous throughout the lineup, it’s hard not to mention eight different skaters. The heavy hitters are obviously captain Jamie Benn and Tyler Seguin. Benn, last year’s Art Ross trophy winner, is lighting up the league with 52 points already, 24 of them being goals. He leads the league in goals and is second in points, behind Patrick Kane. Tyler Seguin, a 37 goal scorer the last two season, is on pace to score 46 this season, with 23 goals and 50 points already. These two will power the Stars offense and limiting their effectiveness is key. However, there are a handful of other players to look out for as well. Patrick Sharp is having a nice season after being traded from the Blackhawks, scoring 16 goals and 18 assists already. Jason Spezza has eclipsed the 30 point mark (14-17-31) and defenseman John Klingberg leads the team with 32 assists, also scoring five goals. Antti Niemi is expected to get the start for Dallas as he is enjoying some success in his first season with the Stars. He’s gotten the bulk of the starts, and has a 16-6-4 record along with a .918 save percentage and a 2.28 GAA. Henrik Lundqvist had another average or sub-par performance against the Panthers, surrendering three goals on 22 shots against. He’s definitely lost his “swagger” or mojo, often appearing very distraught, disappointed or upset after giving up a goal and in the locker room during post-game interviews. While there is a lot to blame for the Rangers’ play besides their netminder, Alain Vigneault took this opportunity to light the fire in the veteran netminder. People on Twitter got very, very angry after hearing that Vigneault said this. But why? Vigneault did the exact same thing before the season started, challenging Lundqvist to be even better. And what happened? Henrik was otherworldly to start the season. Vigneault knows what he’s doing. The defense has been bad for a while now but you can’t excuse the fact that Lundqvist has been decidedly average in a lot of these games. He’s played behind worse defense before, and the team should be able to rely on him to carry them at times. 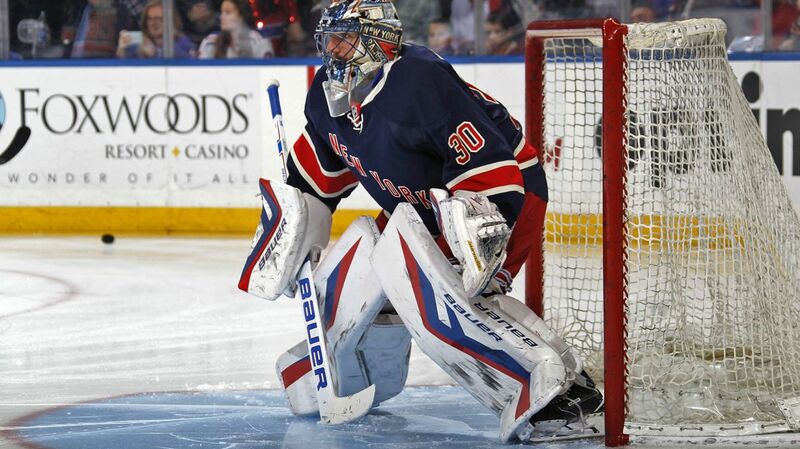 This is a challenge from the coach to help push Lundqvist, make him prove himself and get back on track. Another player who has been challenged by Vigneault is Kevin Hayes, and he’ll be back in the lineup tonight. Hayes has struggled tremendously in his sophomore campaign, scoring just six goals and 17 points in 37 games. He’s been held without a goal in 16 consecutive games, and has just three assists in that span. Hayes comes back into the lineup, and the team desperately needs him to step up and perform. Oscar Lindberg has been very quiet offensively, Derek Stepan is struggling to get his offensive touch back, and that leaves Derick Brassard as the only strong offensive center on the team. If Hayes is back down the middle, some point production would be very beneficial. He also has to be better with the puck and in his own end, one of his biggest struggles this season. Hayes is a good player, and the team needs him and his high-level skillset to come through. 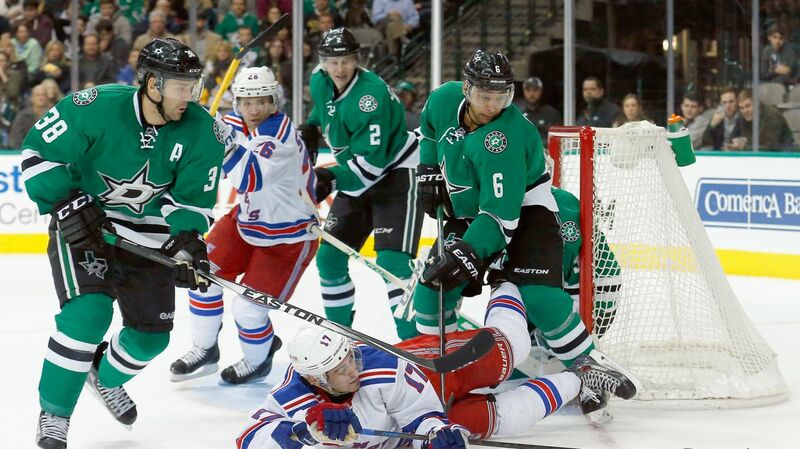 The Rangers and the Stars will face off at Madison Square Garden at 7 PM. The game will be broadcasted on MSG+. Posted on January 5, 2016, in Game Previews and tagged Alain Vigneault, Antti Raanta, Art Ross trophy, Chris Kreider, Dallas Stars, Dan Boyle, Dan Girardi, Derick Brassard, Derick Stepan, Dominic Moore, Dylan McIlrath, Emerson Etem, Florida Panthers, Henrik Lundqvist, Jamie Benn, Jesper Fast, JT Miller, Keith Yandle, Kevin Hayes, Kevin Klein, Madison Square Garden, Marc Staal, Mats Zuccarello, MSG, New York Rangers, New York Rangers blog, NYR, Oscar Lindberg, Patrick Sharp, Rangers, Rangers blog, Rick Nash, Ryan McDonagh, Tyler Seguin, Viktor Stalberg. Bookmark the permalink. Leave a comment.